Good day everyone. This is my first post on this forum and thus my first trip report. After having various holidays with the family over the years, last July I booked my first solo trip from Melbourne which involved me visiting Perth & Sydney. 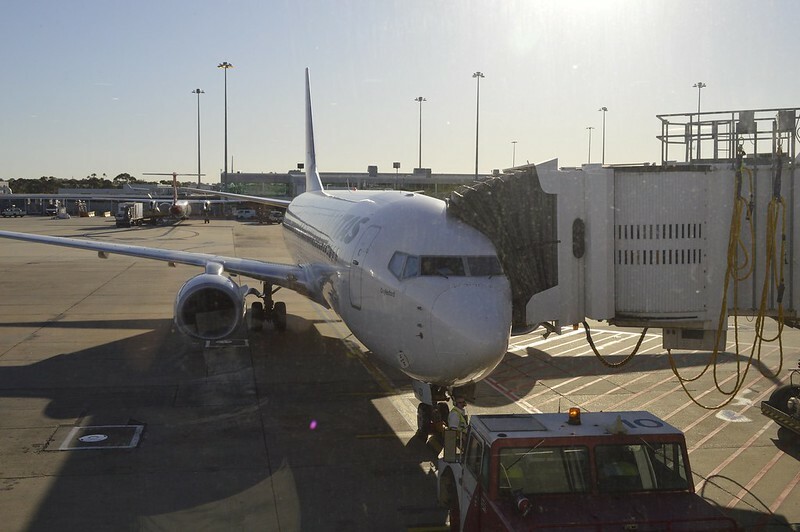 In this post I will cover the flight from Melbourne to Perth. Although I've had no problems with budget carriers in the past, I decided to fly with a full service carrier considering the long flight time of around 4 hours. Between Virgin & Qantas, I booked with the latter as their fares were slightly cheaper and flight times were more convenient. I'm sure members of this forum have flown with Qantas many times before. However this is the first time I've flown in over two years. It was also my first flight with Qantas in over 14 years. What may seem like a typical Qantas flight for many of youse was a completely new experience for me, one that I highly looked forward to. Flight: QF485 Melbourne (YMML) to Perth (YPPH). Flight time: 3 hours 50 minutes. Booking the flights on the Qantas website was easy enough although I did have some problems getting the website to accept my credit card. Thankfully I resolved the issue and booked my first flights. Hooray! Originally the flight was supposed to leave Melbourne at around 8am however a month after booking I was informed that the flight had been pushed back to a 8:35am departure. Works for me, extra half a hour sleep in. On the day of the we made it to the airport with good time to spare after a 30 minute drive. 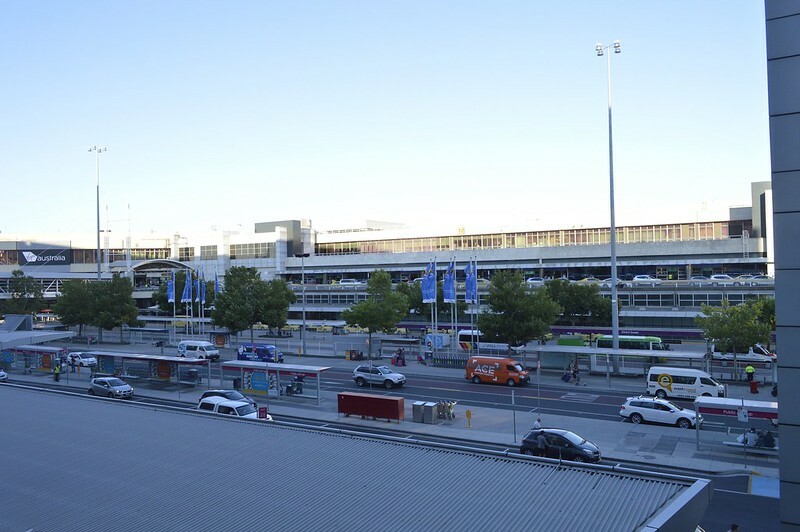 Here's an overview of Melbourne Airport. 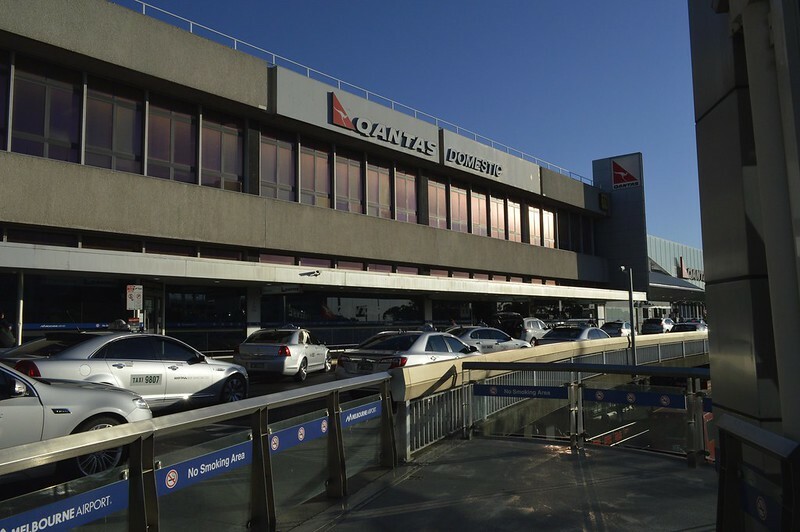 The Qantas terminal at Melbourne Airport. Jetstar also used to reside here until they moved to terminal 4 last year. 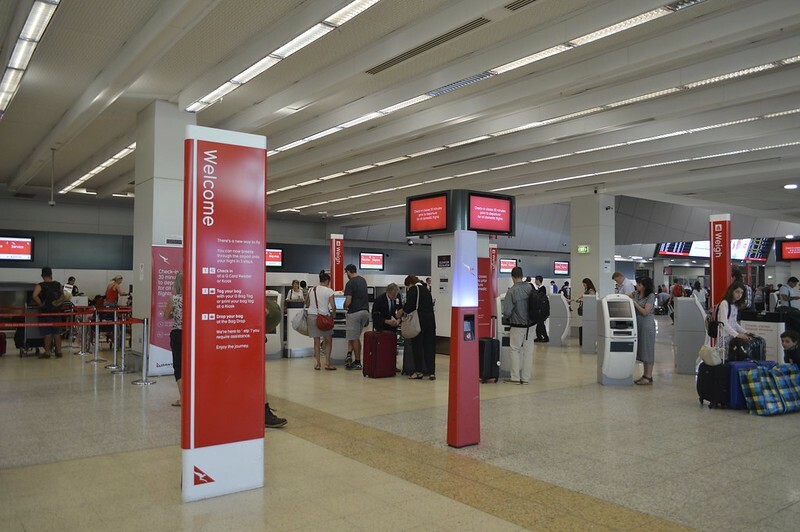 The Qantas check in counters. Because I already checked in online I just used the kiosk to print my boarding pass and bag tags. I did have some trouble with it but figured it out quickly, but parents (who were there to drop me off) put the bag tag on the adjustable handle on the suitcase. Not the most ideal place to put it so we took it off and clumsily put it on the other handle. We also had problems with the bag drop-off kiosk which is also self serve. Annoyingly throughout the process there wasn't any staff members around to help us. Staff members at supermarkets are always around at their self-serve kiosks so why can't Qantas do the same? Maybe we should have just lined up to the normal baggage drop-off, or maybe my expectations are too high. I had no major issues at security but it could have gone smoother as parents messed up my bag when I was trying to reload my electronic items. Nevertheless there was still heaps of time before my flight. By this point I said farewell to my parents and went to explore the Qantas terminal. Whilst it does the job, the pier containing gates 1-12 could use a facelift. It feels a little cramped and has false ceilings with no natural light. 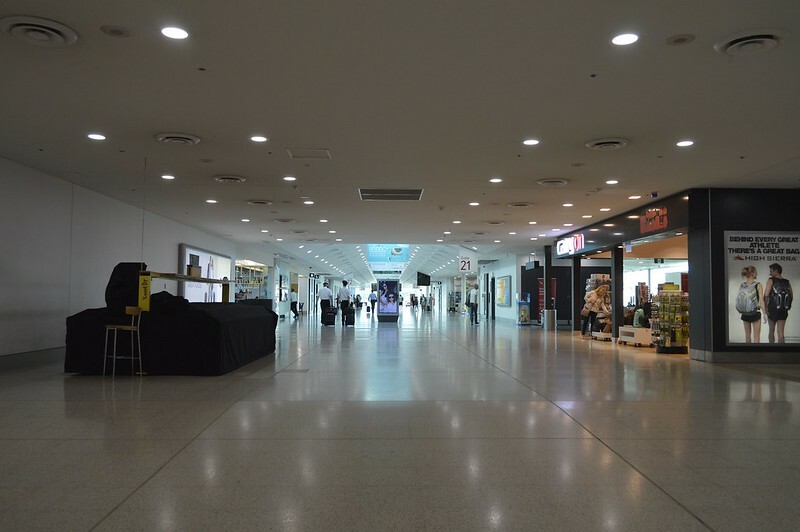 The pier containing gates 21-30 is newer so it feels more spacious and contains natural light. My flight was at gate 23 which is just beyond gate 21 in the photo below. With time to kill I also decided to do a little bit of planespotting. 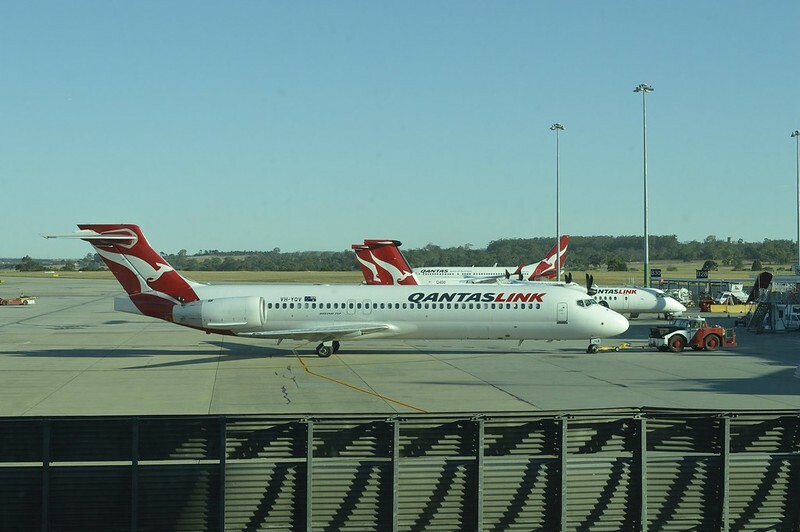 First we see a Qantaslink Boeing 717 being pushed out. 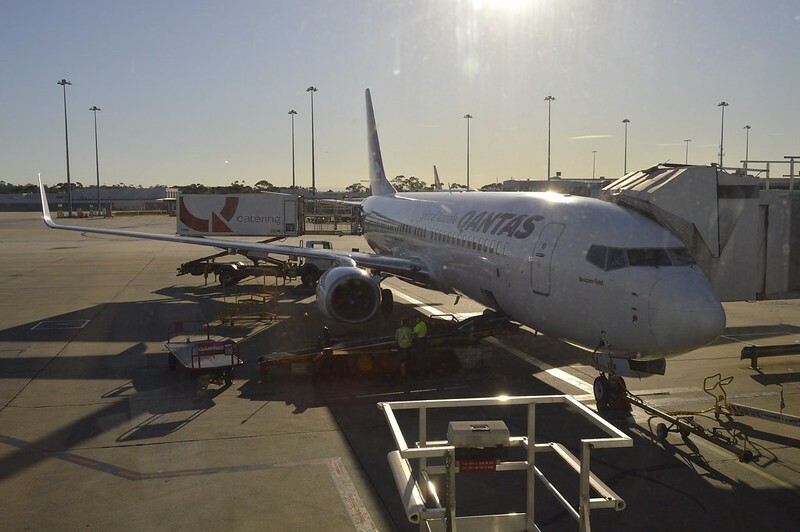 Then we see a Qantas Boeing 737-800 at a gate. We also see an A330-200. By this point it was time to board the flight. The plane was an Airbus A330-200 VH-EBB. This plane entered service in November 2002 and from October 2006 to May 2014 was used by Jetstar, Qantas' low cost subsidiary. 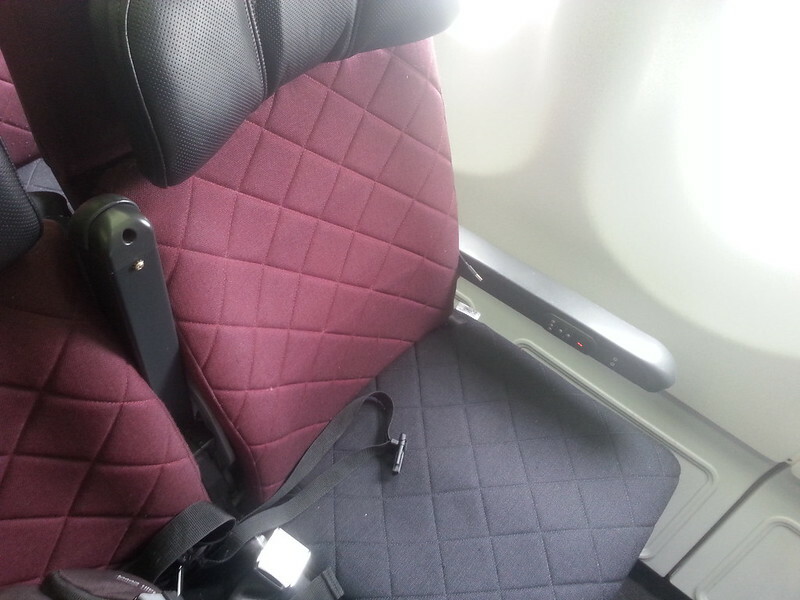 After Jetstar acquired some Boeing 787's the plane came back under Qantas' ownership and was given a new interior. I don't have any external shots of it at Melbourne. I had no problems boarding the plane and was greeted by my last name by the cabin crew. I made my way through the cabin and had no problem finding my seat in row 45, just behind the wing in the second section of the economy cabin. An overview of the main cabin. 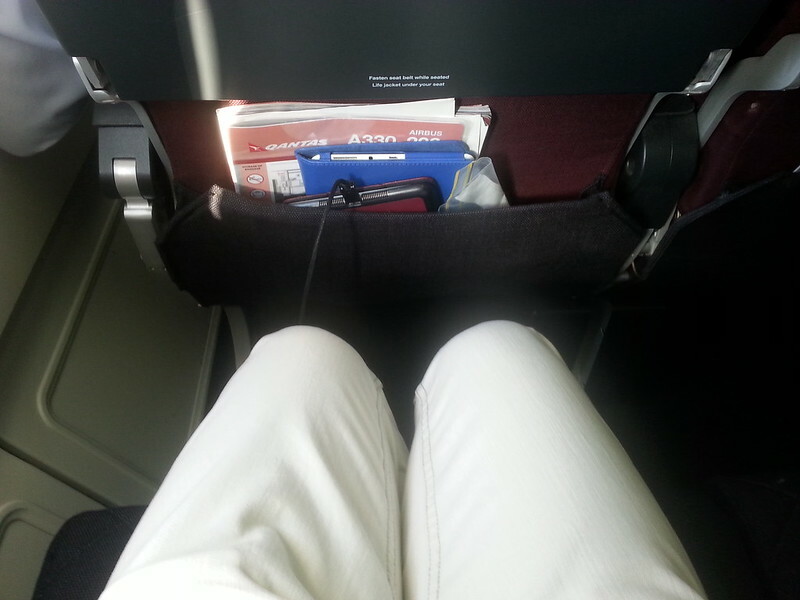 The legroom on the refurbished A330-200's is 31 inches in economy. Because I'm only 160cm tall I found the legroom more than adequate. This seat did have quite a lot of engine noise. I constantly had to adjust the volume of the in-flight entertainment so I could hear it properly. It wasn't a major deal breaker though. The seat next to mine was occupied. I'd estimate that the load for this flight was between 80% - 90% full. The safety briefing was relayed on the plane's PA system with flight attendants demonstrating the safety features. Shortly after we taxied to the runway & tookoff. I've uploaded that section of the flight to youtube. Once the seatbelt sign turned off I settled into the planes IFE system. 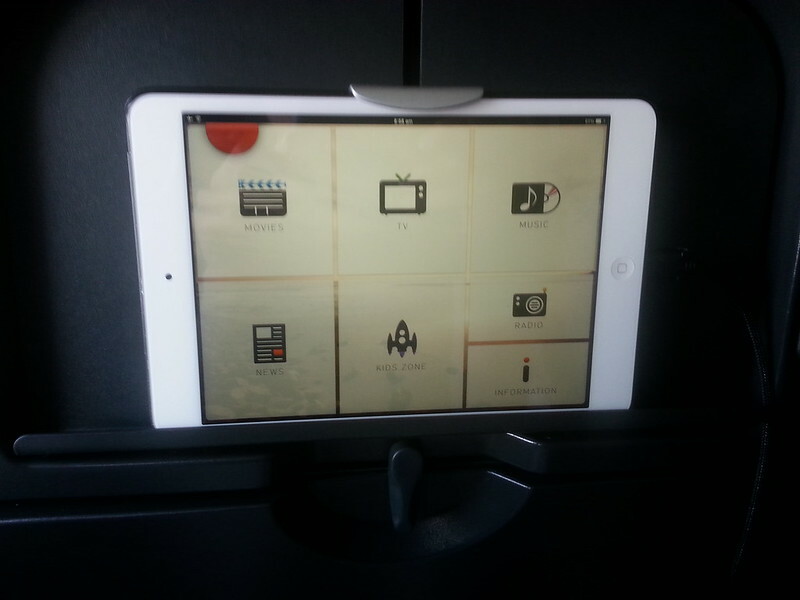 In the refurbished A330's the IFE is provided though an ipad mini with Q Streaming. I had no major issues using the app but it didn't always respond to some of my hand gestures. The cabin crew advised to leave the ipad plugged into the USB socket to keep the device fully charged. Each economy seat has two USB ports. However both of my USB ports were broken as the actual connector had been snapped off leaving only the shield. My neighbour was asleep so I decided to try one of his USB ports. Despite it being fully intact, his port wouldn't work either. Wonderful, a flight with no power. The ipad was almost fully charged so thankfully I had no real need to use the USB ports. I settled down and started watching The Imitation Game starring Benedict Cumberbatch. I found it to be quite a good movie. While I was watching the movie breakfast was served. The choice for the cold option was fruit with some other sides. 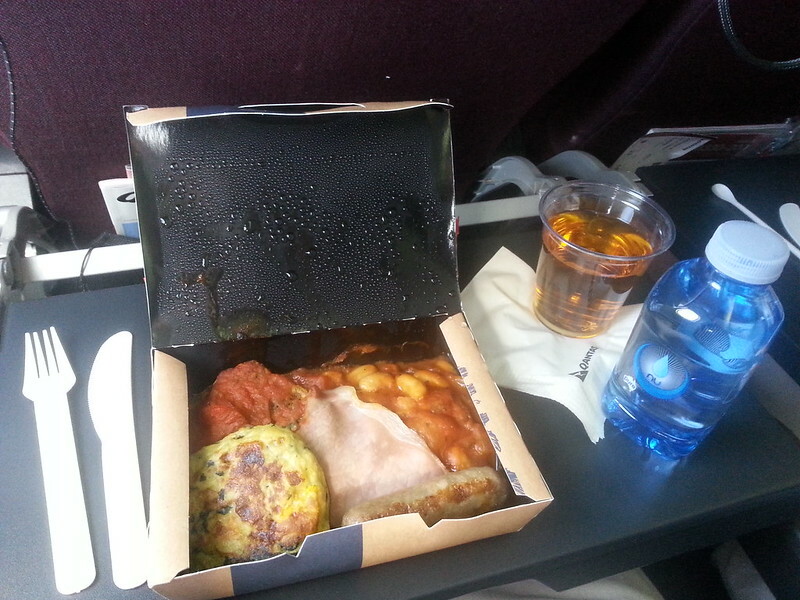 I choose the hot option which consisted of a corncake, baked beans, bacon & a sausage & one other identified food item. It was a decent meal all up with a good serving size. I found the corncake to be rather tasteless, although I found this to be a good thing as I don't usually like corncakes. It was interesting to try baked beans for the first time, probably not too different from what you would find in a tin. The sausage and bacon were decent, no complaints. On the side I opted for some apple juice and was given a small bottle of water. With lunch done I settled down to watch the rest of Imitation Game. With that done I tried to find something else to watch. Q Streaming may boast 'endless hours of entertainment' but I couldn't find anything that I liked. I browsed both the movie & tv section but found nothing of fancy. I thought watching a good comedy would pass some time but most turned out to be boring American sitcoms. They even had Open Slather available. No, I'm not that desperate. I then tried watching Avengers: Age of Ultron but got bored after 10 minutes. With nothing else to do I decided to watch some Top Gear episodes that I pre-loaded onto my tablet. 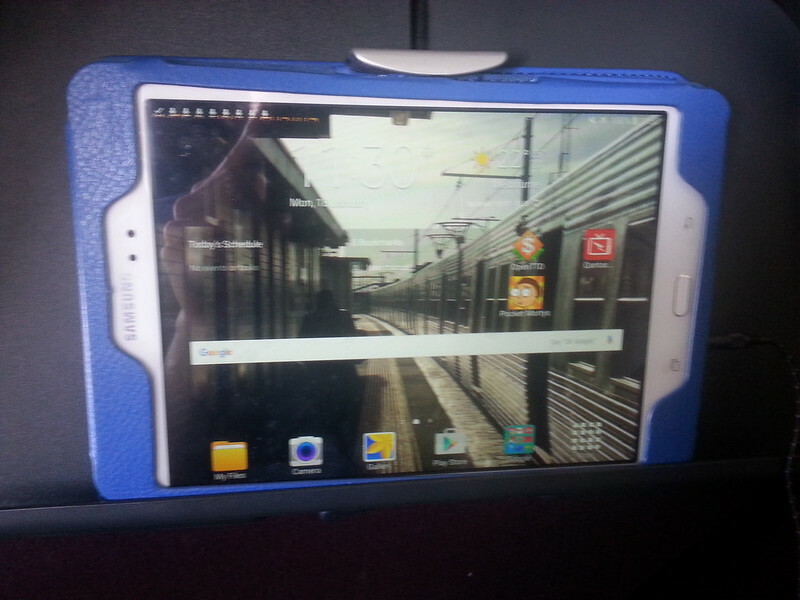 The seatback mount for the ipad mini is capable of fitting other small tablets that are of similar size. It was by this time that my bladder finally took hold and had to do to the toilet. There was a small queue but I wasn't waiting long. No complaints about the toilets, I found them to be clean enough. I didn't choose the best time to do as the crew were in the middle of serving drinks for the second time. My neighbor got me a water as he didn't know what I wanted. One of the stewards asked if I wanted another drink which I declined. 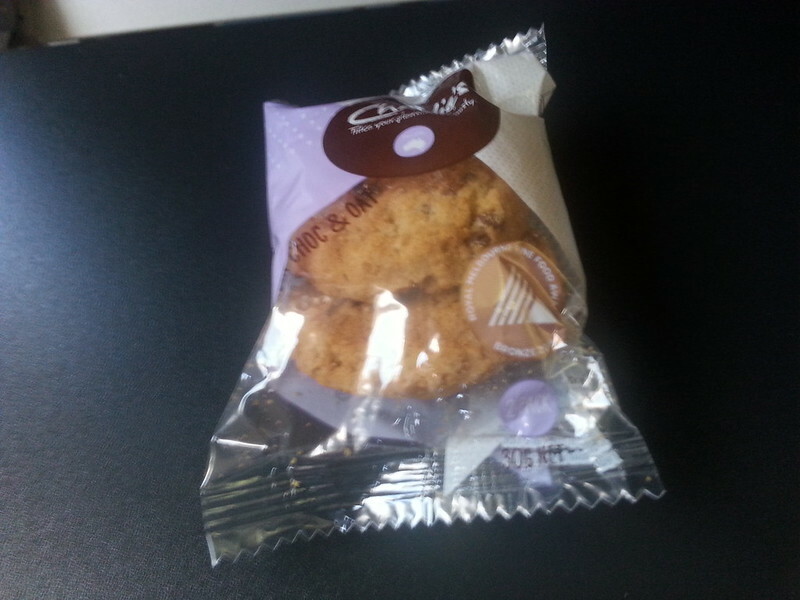 I was also handed some cookies. Shortly after we began our descent into Perth, which was smooth, cloudy and uneventful. As with the takeoff I recorded the landing. As I left the plane I got a photo of her at the gate. After some waiting I collected my suitcase and left the airport. Overall I quite enjoyed my Qantas A330 experience. Great service from the crew and enough food to keep me satisfied. The IFE was good but could have a larger variety of content, while the broken USB ports was a minor niggle. Provided that the price was right I'd fly Qantas again with the A330's on this route. I flew on two other flights on this holiday. 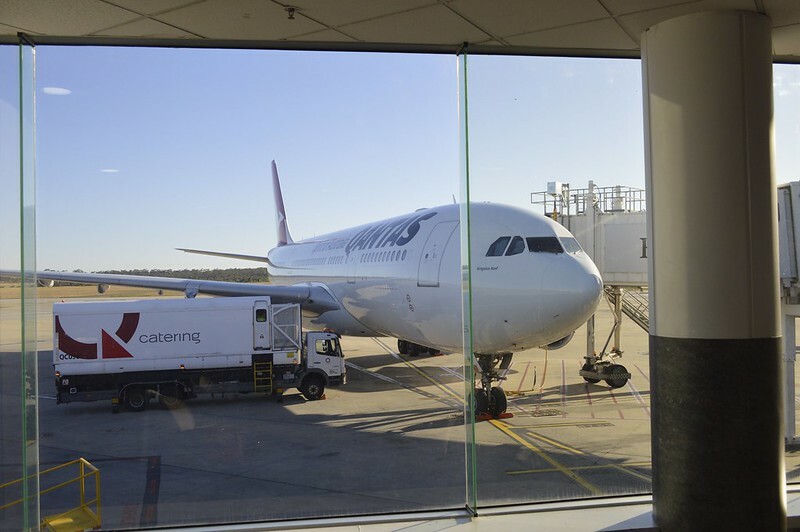 The first was QF576 from Perth to Sydney and the second was JQ607 from Sydney to Melbourne Avalon. I'll upload the reviews for those in good time. Enjoyed reading your trip report Alex and welcome to the Message Board! I look forward to your next installments. Great report - thanks for sharing! A great effort. It's always interesting to read trip experiences of others. A Hitachi Spark as your background image on the iPad.